What does ‘Fair Trade’ coffee mean? You may hear advice from foodie experts that you should always buy Fair Traded items such as coffee and chocolate, for their social benefits. But, if you look into research on Fair Trade, the advantages are not so clear cut. The articles we found paint a somewhat conflicting picture. Fair Trade began in the Netherlands in 1988, initiated by the Max Havelaar Foundation. The idea was to find a way for small producers to have a chance at a reasonable floor price for their commodities, starting with coffee. A decade later this had evolved into the Fair Trade Organization (FTO). While Fair Trade programs exists for cocoa, bananas, sugar and artisan crafts, a substantial portion of Fair trade commodities are coffee beans, because they are compact and relatively valuable per pound. In the Fair Trade system, small coffee growers were encouraged to form cooperatives and sell their coffee to the cooperative, which guaranteed a floor price, originally about $1.20 per pound. Fair Trade certified traders would then buy from these certified Fair Trade producers, paying at least the floor price plus a “social premium” which was to be used for social or economic development in the producer’s community. The traders then sell the coffee at a markup to the roasters and eventually to the retail market. Retailers also pay a small premium back to the FTO which helps support the organization and its marketing. Thus, Fair Trade coffee is bound to cost more, but it may not be better coffee. The whole idea behind this system was originally information asymmetry. Coffee producers had no idea what the actual market price that day would be, and the Fair Trade system leveled this out and gave them a predictable income. In addition, the traders paid the producer co-ops up to 60% of the crops value in advance, charging a small interest rate, which gave them a way to meet farming expenses before the crop was harvested. An excellent history of this entire process is given by Kimberly Elliott. The Fair Trade USA (originally called TransFair) split off from the FTO in 2011, primarily because it wanted to reach out to small producers and their laborers who were not covered by the FLO, and who were not organized into co-ops. However their program is otherwise much the same. But what happens when the market price rises far above that floor price, as it has now? 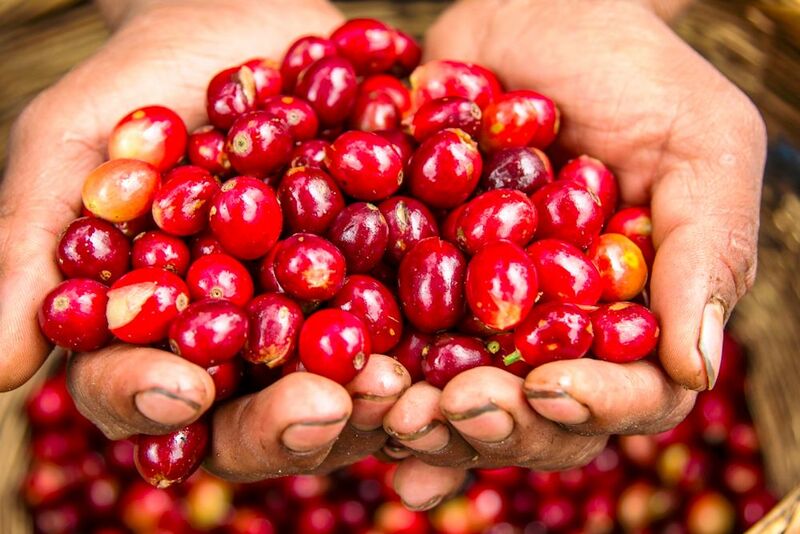 In this case, the producers can get more for their coffee outside the Fair Trade system, and often sell their higher quality beans at higher prices. They then sell their lower quality beans to the Fair Trade traders at the floor price. Thus, the coffee with the Fair Trade label can be of considerably lower quality. A blog in The Economist compared living standards in Uganda and Ethiopia in both Fair Trade and non-Fair Trade areas, and concluded the Fair Trade agricultural workers often earned lower incomes. They found that people living in ordinary rural areas enjoyed a higher living standard than seasonal and agricultural workers receiving a subsidized wage in Fair Trade areas. They concluded that Fair Trade “failed to make a positive difference.” You can read the entire paper the blog refers to by Cramer, Johnston and others here. Professor Colleen Berndt published an excellent 2007 monograph on her field work in Costa Rica and Guatemala, explaining in some detail her observations on whether Fair Trade works there. Commodity, or exchange grade coffee grows mostly in sunny plains and in poorer soil, while higher priced premium coffee beans are grown in the highlands. Most Brazilian coffee, for example is commodity coffee. Most of the Fair Trade cooperatives in Costa Rica are in regions not favorable for growing high quality coffee. And the certification costs for a cooperative are substantial; $2000 to $4000 to join plus an annual inspection fee. There are significant costs in running such cooperatives: management employees must be paid out of the small social premium they receive. And there is substantial evidence of corruption in these co-ops, meaning that the social premium seldom reaches the farmers. In addition, many coffee plantations can be run by a single family except at harvest time, when they must hire laborers, usually migrants, to help in picking the coffee cherries. Of course the cherries don’t ripen all at once and it takes skilled pickers to harvest only the ripe cherries. If they pick less ripe ones, it diminishes the quality of the coffee. The Fair Trade system, however, provides no incentive for high quality coffee. In any case, the FLO rules require that these laborers be paid at least the minimum wage, although there is no way to enforce this. So these laborers are unlikely to benefit from the social premium of Fair Trade. Studies have shown that while Fair Trade and the earlier International Commodity Agreement (ICA) have no effect on poverty reduction. Instead, Berndt points out that some quality outlets like Allegro, Peets and Starbucks have independently encouraged development and socially conscious business practices because it is to their overall benefit. And finally, an article by Vaklila et. al. concludes that a larger share of the retail prices of Fair Trade coffee remained in the consuming country than conventional coffee. In other words, quite contrary to expectations, Fair Trade empowers roasters and retailers rather than the farmers themselves. Because we don’t know what quality of beans end up going into Fair Trade coffees, we can’t tell what would be a fair price. If the retailers have to pay a licensing fee back to the FTO, how much are they marking that up to make selling produce worthwhile? There is really no way to know. Among their dozens of coffees, the Starbucks Online coffee store shows only one Fair Trade coffee variety, Café Estima Blend, retailing for $13.95 a pound. Most (but not all) of Starbucks coffees are priced lower than this, but a few are the same price and a couple are higher. How can we judge their relative quality? There is really no way to do that other than a taste test, which is difficult to carry out in a double blind, unbiased fashion. Growers are paid very little more for Fair Trade coffee. Consumers are charged much more for Fair Trade coffee, since the Fair Trade wholesale markup is $0.65 per pound, and the retail markup much greater. Fair Trade is essentially a marketing organization, making money from these licensing fees. Growers receive a higher percentage for non Fair Trade coffee. So to conclude, the Fair Trade system does not seem to provide much financial support to the farmers and farm workers as was intended, and seems to lead to lower quality coffee being sold as specialty coffee under the Fair Trade label. If you choose to buy Fair Trade coffee, you are probably not supporting actual growers, but more the retailers and other middlemen. Based on the research in these articles, there seems little reason to buy Fair Trade labeled coffee. Elliott, KA, “Is My Fair Trade Coffee Really Fair?” Center for Global Development, 2012. P., “Not so fair trade,” The Economist, May 19, 2014. Cramer, Johnston, al., “Fair Trade, Employment and Poverty Reduction in Ethiopia and Uganda,” SOAS, University of London, April, 2014. Berndt, C. “Is Fair Trade in Coffee Productive and Useful?” Mercatus Center, George Mason University, June, 2007. Haight, C. “The Problem with Fair Trade Coffee,” Stanford Social Innovation review, June, 2011. Valkila, J, Haaparanta, P and Niemi, N. Empowering Coffee Traders? The Coffee Value Chain from Nicaraguan Fair Trade Farmers to Finnish Consumers. Journal of Business Ethics, December, 2010. When is ‘The Daily Show’ going to be good again?